THE OFFICIAL ZOMBURAI! MAILING LIST! Never miss an update again! 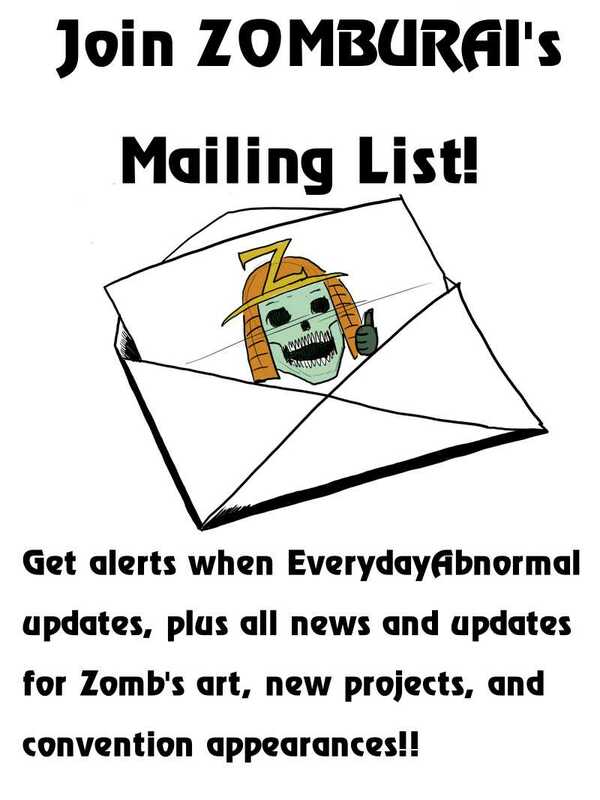 Get cool art and bonuses! Find out when you can next see me at a con! Please sign up right .... HERE!! I need to take care of some stuff, but I do not want to leave, my incredibly loyal and gracious (and intelligent. And attractive) readers in the lurch. With this, now you won't be! I suspect the first emails will go out before New Year's, and Carlos's story will resume (and come to a senses-shattering conclusion) shortly after the New Year! Thank you for your support, everyone. Thank you very much for your continued fandom. And I want everyone to have a safe, happy Christmas (or whatever holiday you're celebrating) and a joyous New Year. Thank you kindly on both counts, Delta! Have a happy holiday yourself!